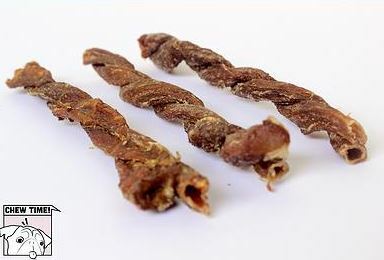 A few weeks back we learnt of a new company: Chew Time, specialising in imported dog chews. What caught our attention was the fact they had Bully Sticks (*cough* bull peen), which is really hard to find, if even possible, in Singapore. 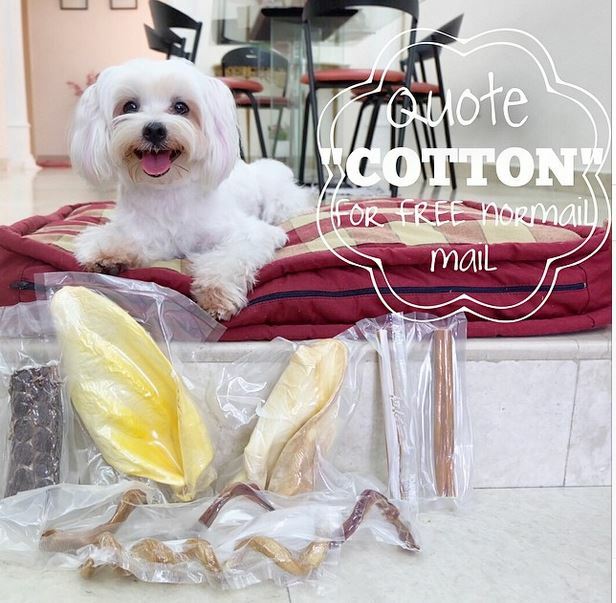 Long story short, Cotton was tasked to nom-through their chews, and here’s what we feel! 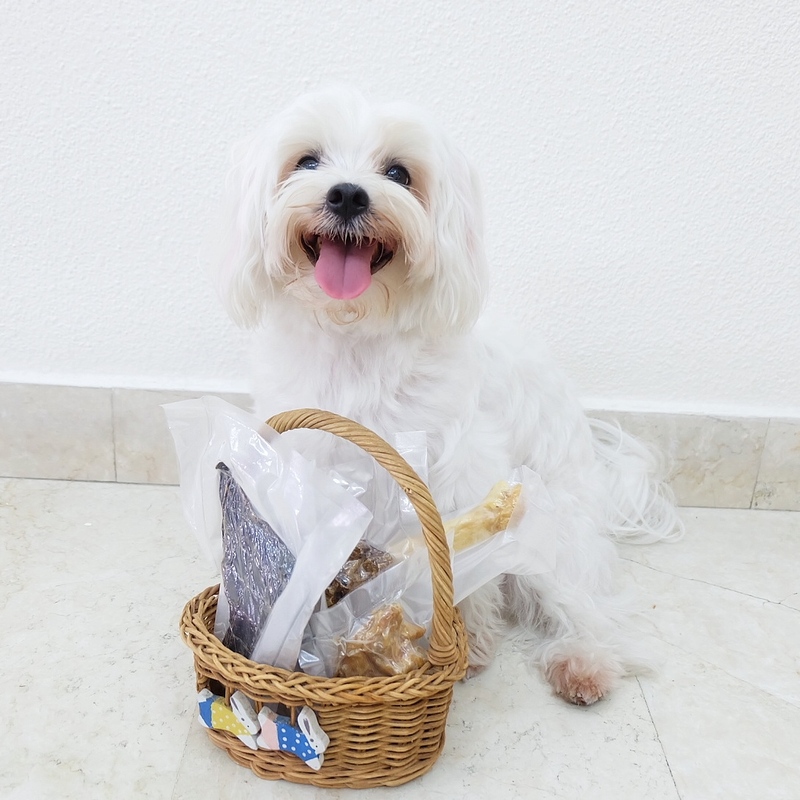 Chew Time has a large variety of chews available – be it soft, crunchy, hard or hypoallergenic. 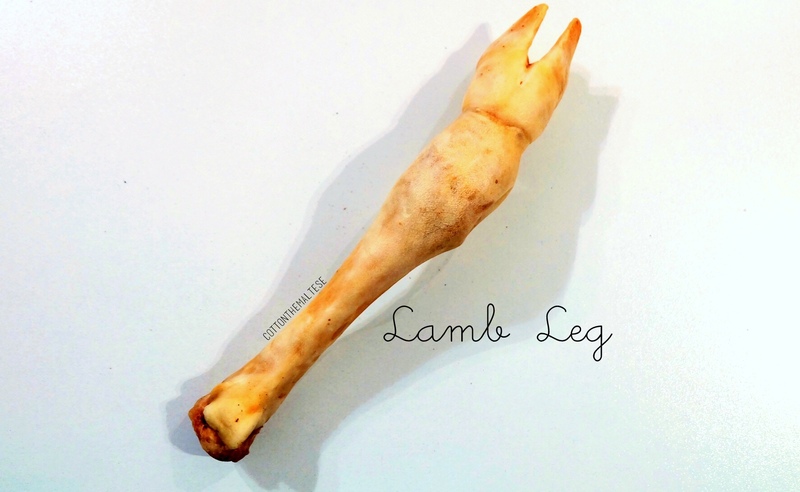 They also have many different protein sources – Kangaroo, Crocodile, Lamb, Beef, Turkey, Venison, Fish and Pork! 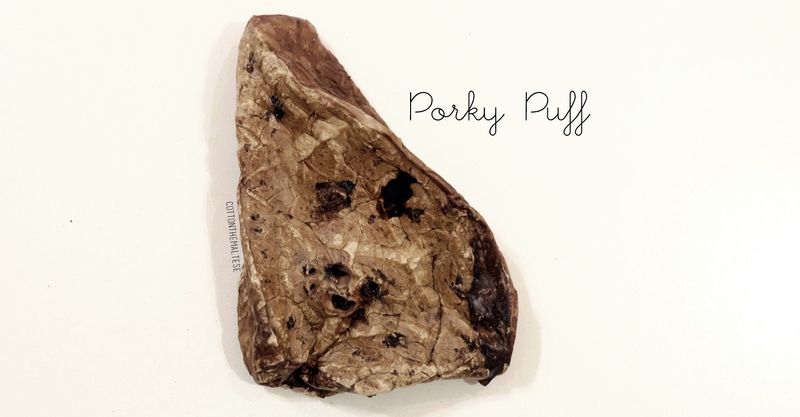 Cotton, being the picky eater, wasn’t a big fan of the harder snacks, but loved the softer gullet chew. Upon our feedback, Chew Time reflected that picky dogs will have a greater preference for softer chews, hence furpawrents with picky eaters do take note! Chew Time brings in both odourless bully twirls and normal bully sticks. The odourless twirls truly had little to no smell, and understandably the normal bully sticks had some smell to them (which might actually be an incentive to some dogs 😉 )! Chewing has substantial benefits to dogs, and one of the ways a vet-to-be friend advised us for Cotton’s stress/excitement-induced seizures was to let her chew. Chewing on appropriate treats or bones relieves boredom and stress, acts as a natural toothbrush for dogs and prevents unwanted misbehaviour and spoilt furniture. 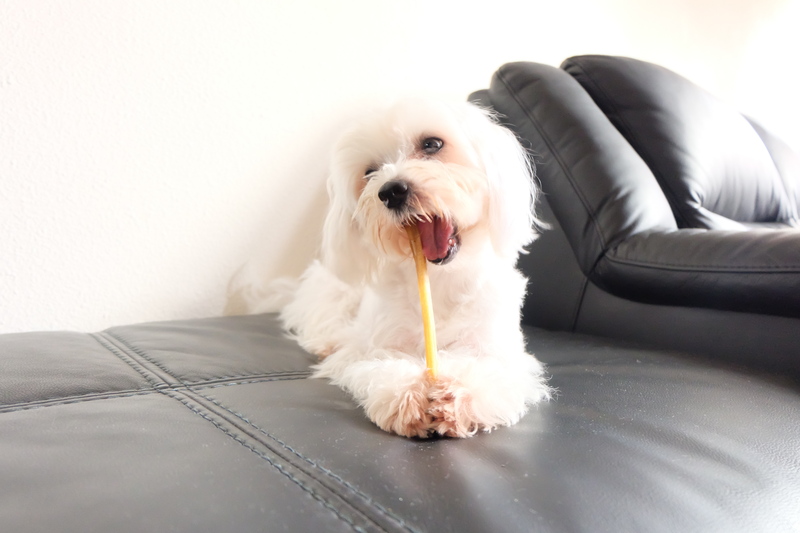 Hence, Chew Time aims to “conveniently provide safe, natural and long-lasting chews from the USA to dogs in Singapore“, with most chews lasting 20 minutes and up. All chews come individually vacuumed pack for easy feeding and to ensure a longer shelf life! Delivery is also fast and there is great customer service! With their large range of chews, it will definitely be easy to find one suitable for your precious pooch, regardless of its size – a little Chihuahua or a ginormous German Shepherd! Happily nom-noming on the Thin Bully Stick! 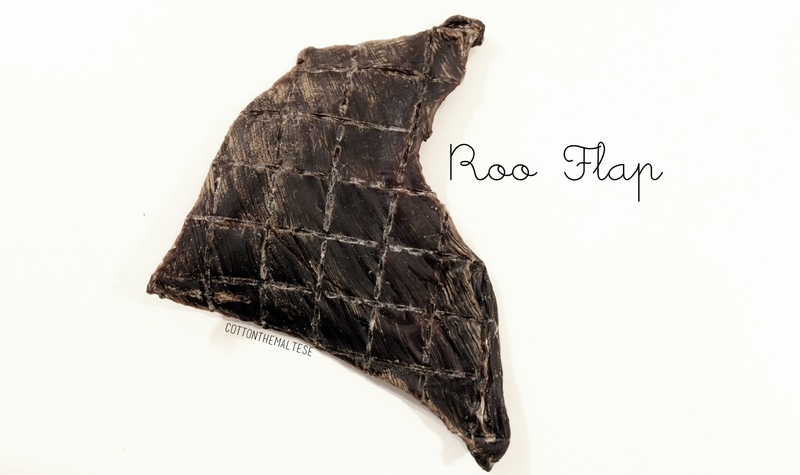 We were given 5 chews for Cotton to try – Lamb Gullet ($6), Porky (lung) Puff, Small Roo Flap ($5), Croc Bone ($12) and Lamb Leg ($9). 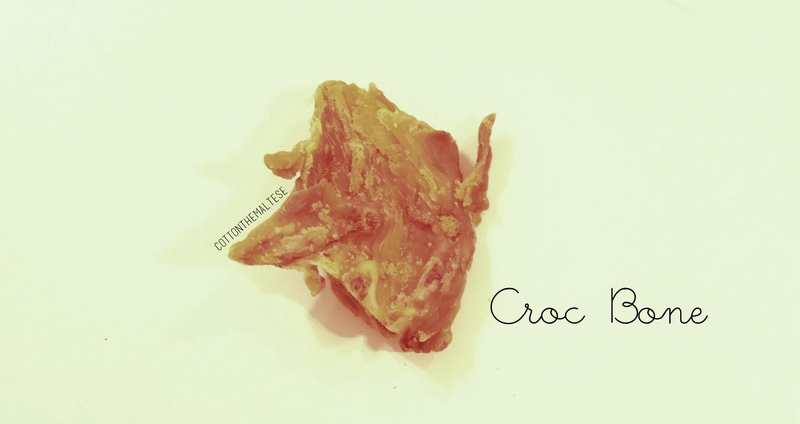 Out of the 5, Cotton would probably rate the lamb gullet, pork puff and croc bone as her top 3 picks, based on her enthusiasm while noming away! We give Chew Time 3/4 Paws for fast service and high quality products for our precious pups. However, chews can be rather costly with the cheapest at $4 and most expensive at $19 – Hopefully this can be worked on with greater traction in the dog community! For more information on Chew Time, visit their Instagram and Facebook here! To purchase, head to their website for further details.